Cancer is a treacherous disease; any cancer is a scary thing to see happen to someone, or to have happen to yourself. There is no need to delve into the specifics of the disease here – that can easily be found elsewhere. But it can be said that many compounds throughout the centuries have been promised as cancer-curing, yet so few are actually effective, and they often come with horrible side effects. The best place to find information on the potential benefits or drawbacks of using CBD for cancer is probably your doctor. A good doctor will stay up to date on research and know enough about the actions CBD has on the body, and should be able to help in the decision of whether to use CBD as part of your treatment plan. Something else to consider would be a naturopathic doctorâ€™s advice – they too can have valuable insight into something like CBD for cancer – but make sure they are in fact an accredited Naturopathic Doctor, accredited by the Canadian Association of Naturopathic Doctors. When it comes to the published research, it mostly seems to say that more research needs to be done, because marijuanaâ€™s classification as an illegal drug has prevented much of it so far. With legalization around the corner in Canada, not to mention specific states in the United States, and other parts of the world which have already decriminalized if not legalized, more research is certainly coming down the pipeline, but research takes time. Important to consider as well is the stigma that has surrounded marijuana and its compounds like CBD for the last 100 or so years, or even longer. Depending on where you live, marijuana seems to have enjoyed a certain resurgence recently, with marijuana being consumed publicly in more and more places. But recreational use should not impact its ability to be used as a medicine, by the people who need it. From my own experience, I can say anecdotally that a relative of mine suffers from cancer and according to them, CBD helped. The internet is peppered with websites citing multiple people who say the same thing; that it treated or even cured their cancer. Can you trust them? The problem is, when it comes to certain topics as controversial as marijuana or CBD for cancer, itâ€™s hard to know whom to trust and how valid their claims may be. And it might even be beyond thescope of any written article (that isnâ€™t a peer reviewed medical journal, based on a proper study) to tell someone what is worth or not worth trying, especially when it comes to something like marijuana or even CBD for something as intense and time-sensitive as cancer. 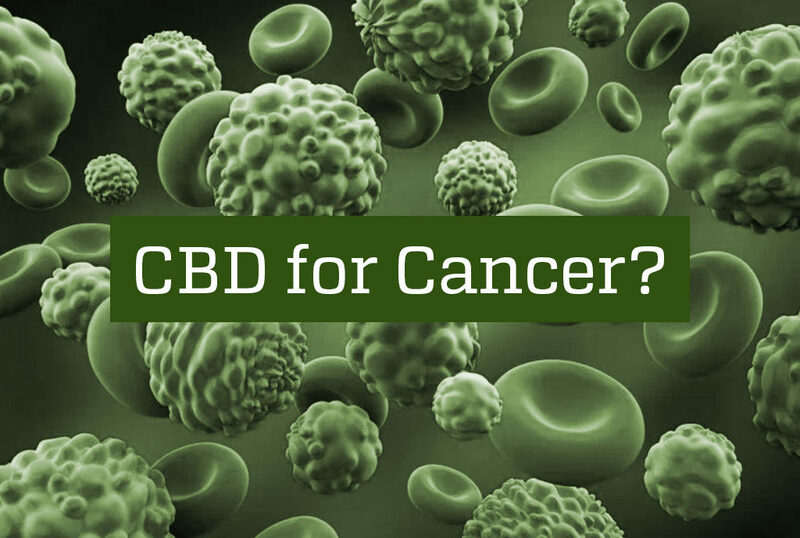 At this point, one cannot conclude that CBD has a beneficial effect on any cancer, but it does seem that there is potential that it can have a curative effect on some cancers, which should certainly be studied. As well, there is ample anecdotal evidence, and some studies, which indicate the benefits of CBD for cancer patients, in terms of alleviating symptoms of the disease and the treatments, including nausea and vomiting, as well as pain. It is becoming more widely prescribed every day as an alternative treatment for such symptoms and side effects.